She is HDP’s co-leader and among the party’s 29 MPs who were arrested in November 2015 over allegations related to terrorism following the lifting of their parliamentary immunity in March. The ruling Justice and Development (AK) considers the HDP as close to the Kurdistan Workers’ Party (PKK). Critics claim that Erdogan is using the euphoria surrounding the failed July 2016 coup d’état to clampdown on opposition groups ahead of the crucial constitutional referendum slated for April 16. Despite losing a seat, HDP continues to be the third-largest party in the parliament with 58 seats. It could however lose more because only 15 of the 29 arrested have been released while the others await trial. Prosecutors are charging the elected officials with terrorist offences, and being linked to the PKK. The outcome of the trials could further intensify the political climate in the country. 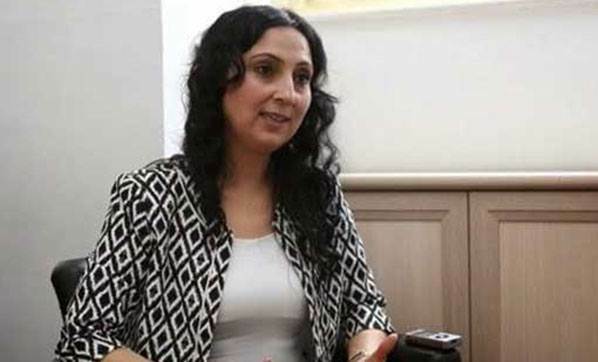 The parliament’s Deputy Chief Ayse Nur Bahcekapali has warned that convicted MPs will lose their seat automatically in accordance with the constitution. Written by: Peter Mulvany on February 22, 2017. Posted by Peter Mulvany on Feb 22 2017. Filed under Headlines, World News. You can follow any responses to this entry through the RSS 2.0. Both comments and pings are currently closed.